Since the world did not end, you should probably think twice about those motion control shoes…. WE can all agree that there is a time and a place for motion control shoes. For people with chronic ankle sprains or lateral instability (ie, an incompetent lateral compartment; peroneus longus, brevis or tertius), it is neither the time, nor the place. The lateral ankle is stabilized by both static (ligaments: above lower left) and dynamic (muscles above, lower right) elements. This is often called “the lateral stabilizing complex” The lateral ankle (ie the lateral malleolus) also projects more inferiorly than the medial. This means that when push comes to shove, the ankle is more likely to invert (or go medially) than evert (or go laterally). What protects it? 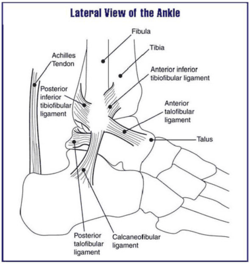 The static component consist of three main ligaments (seen above) the posterior and anterior talofibular ligaments and the calcaneofibular ligaments. The dynamic components are the peroneii muscles. These muscles not only stabilize but also exert an eversion (brings the bottom of the foot to the outside) force on the ankle. Hmmm. Remember the midsole? 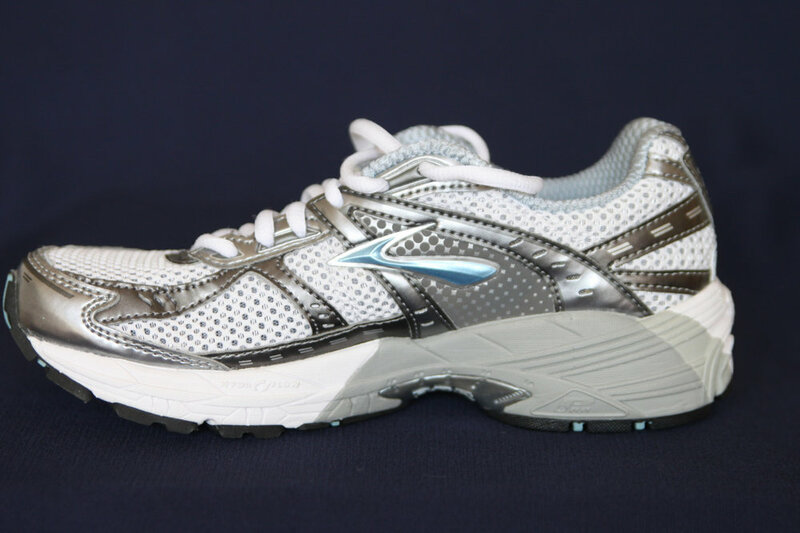 (If not click here and here for a review) Motion control shoes are medially posted. That means they provide more support medially or have a tendency to tip the foot laterally. SO, motion control shoes shift forces laterally. A person with chronic ankle instability has weakness of either the static, dynamic, or both components of the lateral stabilizing complex. bottom line? make sure folks have a competent lateral stabilizing complex and if they don’t, you may want to think twice about using a motion control shoe. Ivo and Shawn. Increasing your shoe geekiness coefficient on daily basis! University of Virginia, 2270 Ivy Road, Box 800232, Charlottesville, VA 22903, USA. all material copyright 2012 The Homunculus Group/ The Gait Guys. Don’t rip off our stuff. PLEASE ASK 1st!